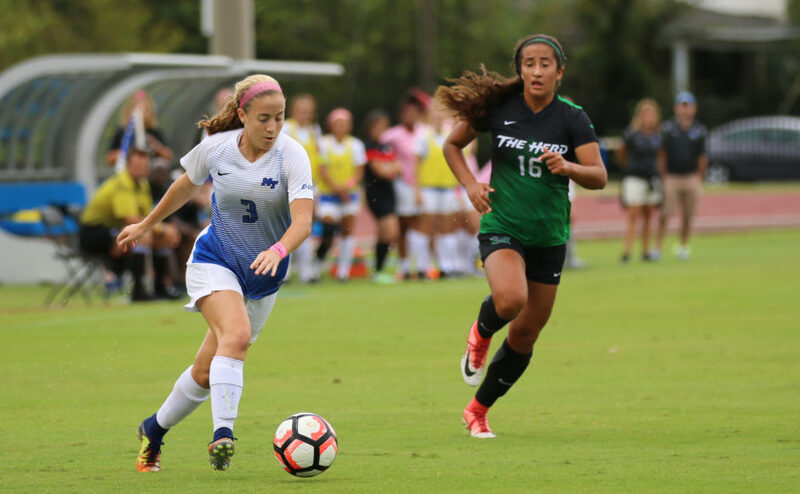 The Middle Tennessee Blue Raiders (7-3-1, 2-1-1) lost their first home game of the season against the Old Dominion Monarchs (5-6-2, 2-3-0) in overtime on Friday. 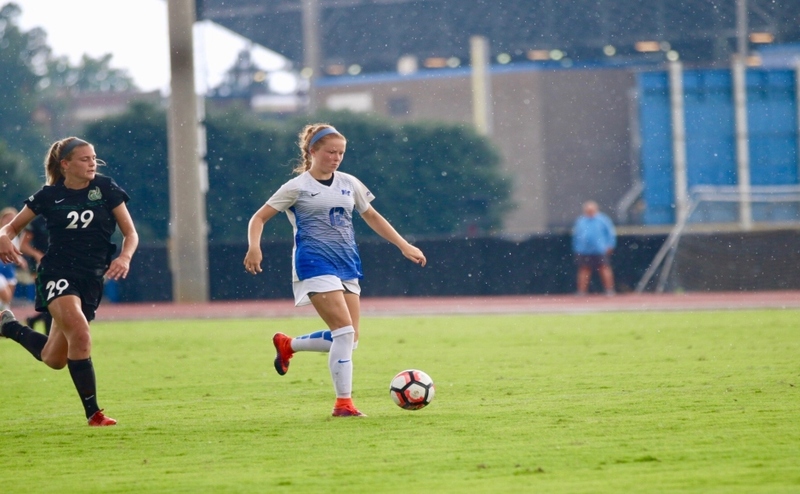 It was the third time the Blue Raiders played in overtime this season, twice of which was at Dean Hayes Stadium, but MTSU failed to close it out this time. The only goal was scored in the 98th minute from Amanda Nhek for the Monarchs. It was because of a block shot from senior keeper Celeste Barnard. 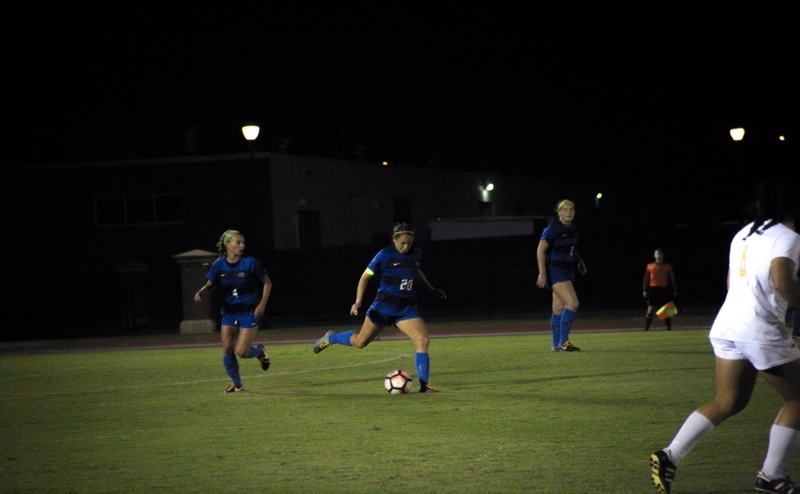 The Blue Raiders had eight total corner kicks in the game, and six of those were in the second half. They also had 17 shots, and 10 of them were in the second half. They had seven shots on goal for the whole game. The Blue Raiders had 20 minutes of possession on the Monarchs side of the field, attempting to find the back of the net but failed to do so. The Blue Raiders have four conference games left this season and then have a chance to play in the Conference USA tournament. Only eight teams can get in, and the Blue Raiders are currently the fourth seed. It will not be an easy task to finish the season strong with their toughest opponents still upcoming. 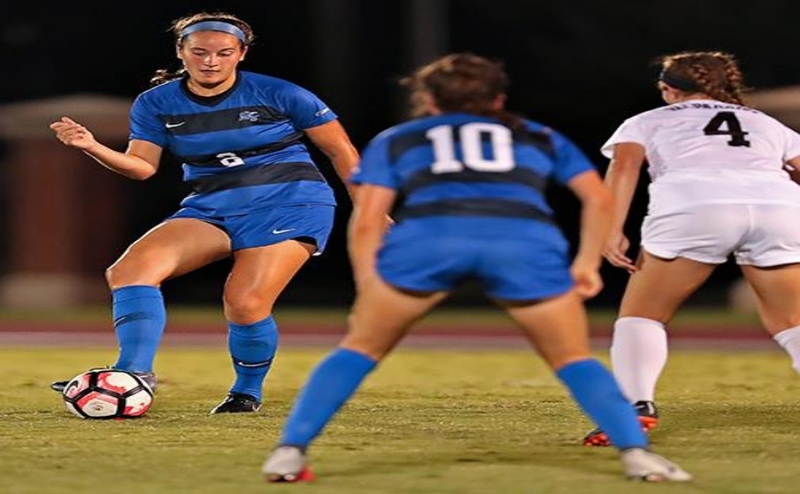 The Blue Raiders continued their home stand on Sunday against the Charlotte 49ers and were able to solidify their C-USA Tournament hopes after defeating the number one team in the conference 2-1. Reliable goals were a key to victory with goals from Peyton Depriest and defensive ace Sydney Navarro. 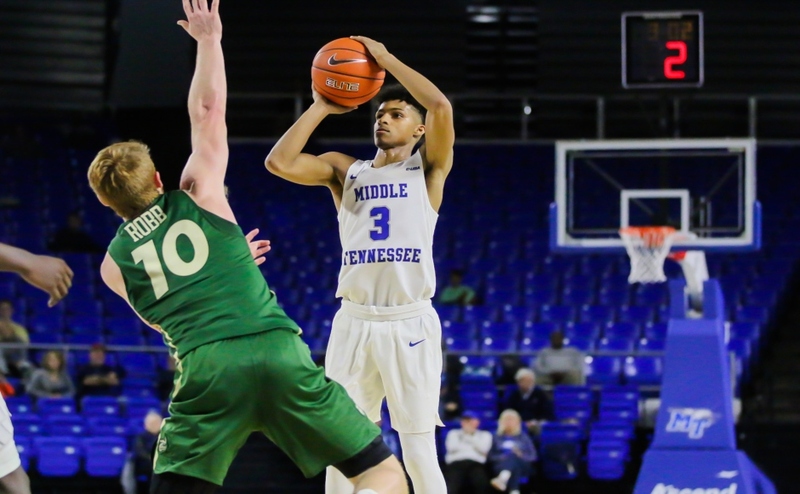 The Blue Raiders got back into their style of play after the team did not look itself against the Monarchs. Rhoden knew before the game against the 49ers that they were expecting to play an open game. They were back in attack mode with sixteen shots on goal, eight in each half. Charlotte scored first at the 23rd minute, but the Blue Raiders struck back exactly one minute later with a goal by Peyton DePriest after a nifty assist from Sydney Navarro. Weather became a factor in second half of play. It started off with a light drizzle that quickly turned into a 15-minute downpour. “We’re in Murfreesboro. It rains a lot so you get used to it,” Barnard said. She was a huge help to her team and one of three players in the game with two saves in the game. The team definitely backed up her comments by shutting out the 49ers in the second half and adding a goal in the 62nd minute. The Blue Raiders will travel to the sunshine state for their next two games against Florida International and Florida Atlantic. They will take on the Panthers on Thursday at 6 p.m. and the Owls on Sunday 12 p.m.